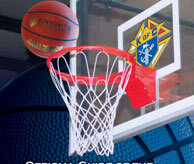 On January 16, 2010 the Council once again held it's annual Free Throw Contest. 32 area boys and girls, ages 10 to 14 came out to compete for trophies, recognition and the opportunty to advance to district, regional and state competitions. Copyright � 1998 - 2010 Knights of Columbus Pavia Council. All rights reserved.